4 Bedroom Terraced House For Sale in Kenton, Middlesex for Asking Price £775,000. The Churchill - A 4-Bed/3-Bath End Terrace family Home featured on this exclusive development by Clearview Homes of 3 and 4-Bedroom family homes and five tastefully converted farmhouse and former dairy properties. The development is within easy reach of excellent public transport, retail amenities and open green spaces. This new development will keep the history of the former dairy farm alive with the conversion of some of the original diary homes. - Individually designed Kitchen with stone worktops and upstands, glass splashbacks. AEG Double fan oven, 5-burner gas hob, Smeg pull out extractor hood, Zanussi fully integrated dishwasher, fridge/freezer, undermounted sink with pull-out spray tap. Ceramic floor tiling. - Utility cupboard housing Zanussi Washer/Dryer. Ceramic floor tiling. - Ensuite Bathroom to Master & Bedroom 2. - Sliding wardrobes to Bedrooms 1 & 2. - Underfloor heating to ground floor rooms, upper floors have heating via radiators. - Fully tiled and contemporary sanitaryware to Bathrooms and Ensuites. - Turfing to front and rear gardens. - Indian Sandstone paving to paths and patios. - Renewable energy Photovoltaic panels to roofs. - Clearview Homes 2-year Customer Care Service. - 10 year Premier Guarantee Warranty. 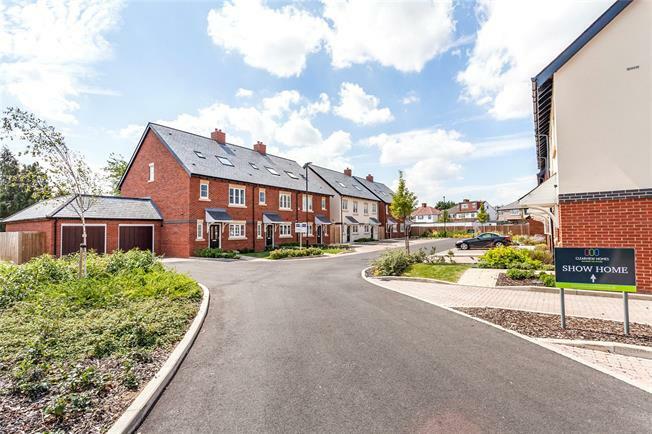 To arrange a viewing or for further information, please contact please contact Preston Bennett New Homes on 020 8954 8626.
public transport, shops and open green spaces. miles away and offering London Underground and overground rail services. The tube service to Euston averages 35 minutes and to Oxford Circus, 40 minutes, while the London Midlands rail service to Euston can take as little as 16 minutes. Buses run a few minutes’ walk from the development. A location for total well-being… Harrow is an excellent choice for all ages, with a good selection of educational establishments nearby, including nurseries and schools. Health care providers such as NHS Northwick Park Hospital and the private BMI Clementine Churchill Hospital are not far away. The sports and fitness scene caters for everyone, with more than 400 hectares of parkland and open space providing an escape from city life. Harrow Golf course, Pinner Hill Golf course, Harrow Leisure Centre, a Fitness First gym, skateboarding park and bowling alley are among the local amenities. Harrow boasts a Vue cinema as well as the twinscreen, luxury Safari Cinema. Harrow Museum and Heritage Centre is a tranquil oasis in a beautiful setting where diverse events and exhibitions are held. Harrow Arts Centre in nearby Hatch End, is a multi-artform venue hosting a wide range of events including music, theatre, dance and film.